Free Your Mind…and become the Master of your Beliefs, rather than a Victim of their Consequences. •	A non-invasive, interactive process of change with a proven record of success for over twenty-six years. •	A simple, yet effective process to change subconscious beliefs that are self-limiting and self-sabotaging. •	A unique blend of various tools for change, some contemporary and some ancient, derived from contemporary neuroscience research, as well as ancient mind/body wisdom. •	A ground breaking approach to facilitating change at the subconscious level, where at least 95% of our consciousness operates. •	A process that transcends the standard methods of visualization, affirmations, will-power, and positive thinking. It is especially effective in the areas of behavioral habit change, wellness and stress reduction. "When you rewrite the software of your mind, you change the printout of your life… and the world!" “There are many paths, and many names for our Spiritual Source, but all paths have to navigate through the “roadblocks” of our sub-conscious mind. Often the subconscious is like a minefield of limiting beliefs and old outdated “programs” that are no longer worthy of who you are, or who you are becoming. These limiting subconscious beliefs affect all aspects of your life, including your relationships, self-esteem, financial prosperity, career choices, even your health and fitness. PSYCH-K helps you clear a safe path through those “roadblocks to a new place of expanded potential in every area of your life. Beliefs are the building blocks of your personality. Your life is a reflection of your “beliefs.” They define you as worthy or worthless, powerful or powerless, competent or incompetent, trusting or suspicious, fairly treated or victimized. Beliefs have far reaching consequences, both positive and negative, in every area of your life. They affect your self-esteem, relationships, prosperity, job performance, mental and physical health and spiritual outlook. PSYCH-K helps you clear a safe path through those "roadblocks" to a new place of expanded potential in every area of your life. Beliefs are formed as a result of life experiences. Much like the operating software in a computer, our basic psychological predispositions are the result of hand-me-down software from our parents. Their beliefs, reinforced by childhood experiences and cultural conditioning, profoundly influence us. 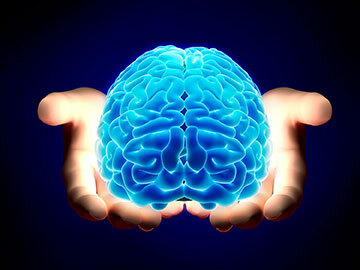 Beliefs, attitudes, values, and so on, are drawn from past experience and stored in the subconscious mind. Even though we may not be aware of their influence on us, they direct our actions and behaviors. These subconscious beliefs create the perceptual filters through which we respond to life’s challenges. They are responsible for our actions and reactions to each new situation in our lives. Unless changes are made on the subconscious level, repeating undesired reactions and behaviors will likely continue. The good news is that it is possible to change limitations or negative beliefs into beliefs that support goals and aspirations. We can choose to design our future! The subconscious is very adaptable and willing to change. It doesn’t need cajoling or encouragement to make a change. It just needs the right method to create a desired change, and the right information. When we know how to effectively and efficiently work with the subconscious, we can make changes quickly and easily. It only takes a few moments for the changes to occur and they are very long lasting. The subconscious mind is ready willing and able to help us out at any time. We need to know how to engage it and work with it properly. Once we do, we can make all kinds of changes that support our life. We can learn how to better attract and manage money, attract and manage relationships, work with our physical system to improve health, change addictive patterns, sleep better, work more efficiently, etc. In short, in everything you do in life, you are engaging your subconscious mind. Although our birthright is the natural ability to operate simultaneously using both sides of the brain, life experiences often trigger a dominance of one side over the other, when responding to specific situations. The more emotionally charged the experience is, the more likely it is that the conclusion we draw from it will be stored for future reference, and that we will automatically over-identify with only one hemisphere of the brain when faced with similar life experiences in the future. With PSYCH-K, the goal is to increase “cross-talk” between the two hemispheres, thereby achieving a more whole-brained state, which is ideal for changing subconscious beliefs. When right and left hemispheres are in simultaneous communication, the qualities and characteristics of both are available to maximize your full response potential to life’s challenges in a balanced and effective manner, to improve health, change addictive patterns, sleep better, work more efficiently, etc. In short, in everything you do in life, you are engaging your subconscious mind. A PSYCH-K balance is a process designed to create a whole-brain state, which is ideal for reprogramming the subconscious mind with new life-enhancing beliefs, reducing unwanted stress and helping you access your full potential. The results of a balance may be felt immediately or it may evolve over time, depending on the type of goal you are working on. Some things just take longer to manifest. It is important to note that, in addition to balancing, you must take action towards creating the results you want in your life. If, for example, you were to balance for confidence in building a business that is lucrative and fulfilling, you would need to engage in activities that build a successful business. Product development, marketing, and networking would be necessary in achieving your goal. PSYCH-K goes beyond affirmations, will power and positive thinking. Given, it is our beliefs that ultimately determine our behaviors. The most effective way to change a behavior is to change the belief that supports it. 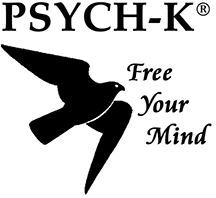 PSYCH-K provides a variety of safe and effective ways to “rewrite the software of the mind” by changing beliefs that limit you, into beliefs that support you… simply and easily. Originated in 1988, PSYCH-K directly facilitates communication between the conscious and subconscious portions of the mind. It includes processes to increase the “cross talk” between the two brain hemispheres, resulting in a “whole-brain” state, dramatically reducing the resistance to changing outdated subconscious programs. As quoted by Rob Williams, "PSYCH-K is the missing Piece in your Life that helps you find the Peace in Life that you are missing!"